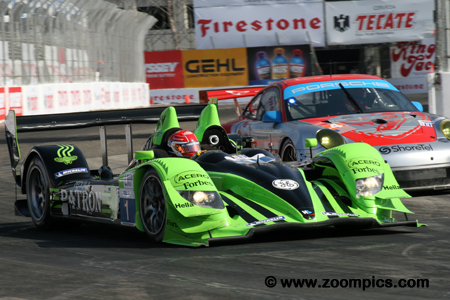 2010 is the twelfth season of the American Le Mans Series (ALMS). The schedule includes nine North American events and is similar to the previous year’s calendar with two major exceptions. The Mazda Raceway Laguna Seca event moves from October to May and the Saint Petersburg race has been dropped from the schedule. The season kicks off with the 58th edition of 12 Hours of Sebring. It is followed by Long Beach, Mazda Raceway Laguna Seca, Miller Motorsport Park, Lime Rock, Mid-Ohio, Road America, Mosport Park and the season finale at Road Atlanta. Initially, the ALMS classes and rules were the aligned with those used by the Automobile Club de l’Ouest at the 24 Hour of Le Mans. Beginning in 2009, changes were made to the classes participating in the series. To address cost concerns, additional alterations were made to the groups in 2010. Le Mans Prototype (LMP) – For 2010, the LMP1 and LMP2 classes were combined. The series technical staff made adjustments to the rules to allow these two groups to compete on a level playing ground. 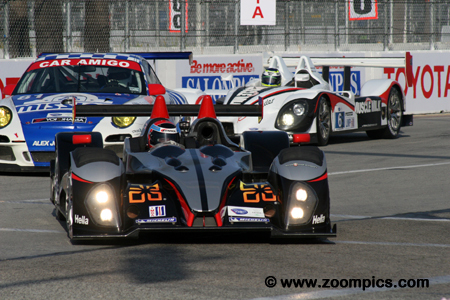 Teams enter cars such as the Lola B09/60, HPD AXR-01c, Lola B09/86, Porsche RS Spyder and Lola B06/10. A number of different engine options are available. Le Mans Prototype Challenge (LMPC) – Also new for 2010 is the Le Mans Prototype Challenge class – introduced to provide an entry level category for new and gentlemen drivers. This is a spec class that uses the ORECA FLM09 chassis. The cars are powered by a Chevrolet LS3 engine which produces approximately 485-horsepower. Grand Touring (GT) – In the new year, the former GT2 class was renamed GT. This group includes production based vehicles such as the Chevrolet Corvette C6.R, Porsche GT3RSR, BMW M3, Jaguar XKRS, Ferrari F430 GTE and Ford GT-R. The championships are decided by awarding points to the top ten cars and drivers that complete at least 70-percent of their class winner's distance. To earn points, competitors are required to drive a minimum amount of time (45-minutes except Long Beach which is set at 30-minutes) and a minimum number of laps (dependent on the size of the racetrack). Teams that enter the full season are awarded points towards team championships. The championship winning teams earn an automatic entry to the 2011 24 Hours of Le Mans but the cars must conform to Automobile Club de l’Ouest regulations for LMP1, LMP2 and GT categories. 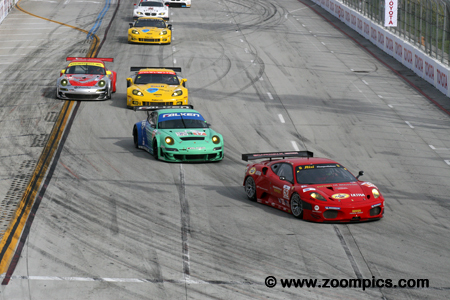 Round two of the 2010 American Le Mans Series was held at the Long Beach Street Circuit. Drivers would compete on the eleven-turn 1.968-mile track for 100-minutes in the season’s shortest event. The second wave of cars enters turn one on the first lap. Leading the way is the pole-winning Ferrari F430 GTC which was qualified by Jaime Melo. Following Melo, is the Team Falken Tire Porsche GT3RSR which was shared by Wolf Henzler and Bryan Sellers. Trailing these two is the third fastest qualifier, the No. 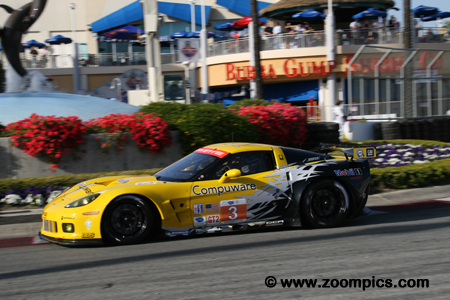 3 Chevrolet Corvette C6.R driven by Johnny O’Connell and Jan Magnussen. There was a total of thirty-five starters for the Long Beach event. Simon Pagenaud qualified the No. 1 HPD ARX-01c second. At the start, Pagenaud’s co-driver, David Brabham fell to fourth. By the mid-point of the race, Brabham was challenging for second and made avoidable contact with the No. 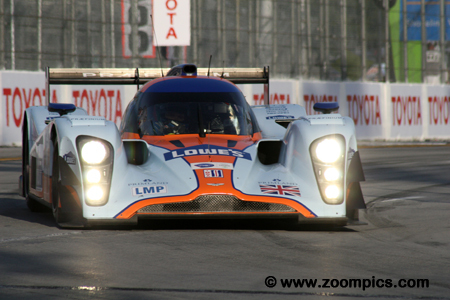 007 Lola – he received a stop-and-go penalty. A great pit-stop by the team allowed Pagenaud to take first place and although he lost the lead briefly, he was able to regain the position and take the victory. Quickest at the end of the LMPC qualifying session was the No. 55 ORECA FLM09 driven by Christophe Bouchut. 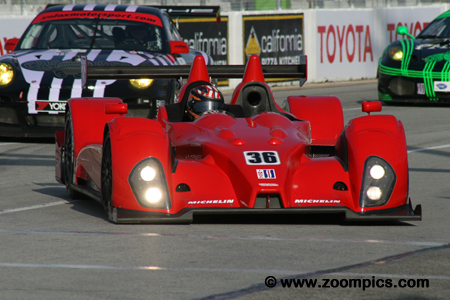 Bouchut shared the car with team owner, Scott Tucker. Tucker started the contest but fell down the race order giving Bouchut quite a challenge to move the team back into contention. In the process, he set the fastest race lap for the LMPC category but could not catch the class winning Green Earth Team Gunnar entry and finished second. Sharing the No. 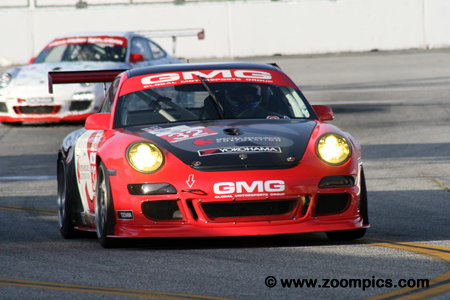 32 GMG Racing prepared Porsche GT3 Cup was James Sofronas and Brett Curtis. Sofronas qualified the Porsche third in Grand Touring Challenge. A steady performance by the team and drivers, allowed the Porsche to stay within sight of the GTC front runners. An error by the category leading Alex Job entry let them move from third to second - which is where they finished. When the two quickest GT cars encountered problems, the No. 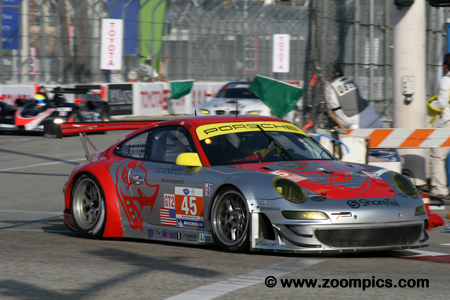 45 Flying Lizards Porsche GT3RSR was there to seize the opportunity. The Porsche, shared by Patrick Long and Jorg Bergmeister qualified fifteenth overall and fourth in the GT category. A very quick pit-stop by the Flying Lizards crew allowed Long to rejoin the race third in class. He was able to chase down and pass the two leading BMWs for the win. Quicker of the two Alex Job Racing Grand Touring Challenge entries was the No. 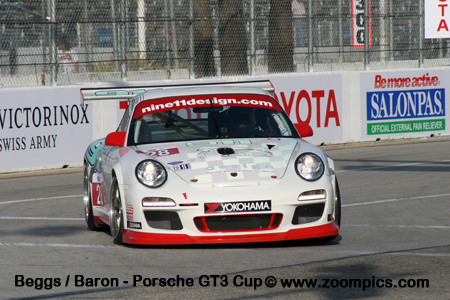 81 Porsche GT3 Cup raced by Butch Leitzinger and Juan Gonzalez. 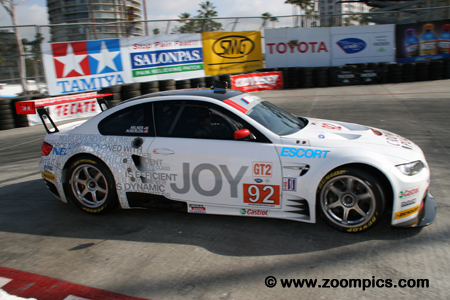 However, late in the contest, Leitzinger found himself second in GTC trailing his teammate, Romeo Kapudija in the No. 23 Alex Job Porsche. Unfortunately for Kapudija, he slid on some marbles and was passed by the Gonzalez and Leitzinger car for the class victory. Adrian Fernandez topped the time sheets in practice driving the No. 007 Lola B09/60 powered-Aston Martin. Fernandez repeated his performance in qualifying and started from the pole position. Sharing the driving duties with him was Harold Primat. The team stayed in contention the entire race and with 5-minutes remaining in the contest Fernandez took the lead but was repassed by Simon Pagenaud on the final lap – the pair finished second. The quicker of the two Corvette entries was the No. 3 Chevrolet Corvette C6.R shared by Johnny O’Connell and Jan Magnussen. Magnussen qualified the Corvette third in the GT category. O’Connell drove the first stint and ran with the lead pack of GT cars. Magnussen re-entered the race fourth in class after the pit-stop for a driver change and refueling. He was able to chase down the two leading BMWs and passed the for a second place finish. The second fastest Le Mans Prototype Challenge entry was driven by Gunnar Jeannette. Jeanette was the fastest qualifier in the class until he was knocked out of the top spot by Christophe Bouchut. His co-driver Elton Julian started the race and kept the car among the class leaders. A great pit-stop allowed Jeannette to rejoin the race in the class lead. They won the category by over a lap and finished fifth overall. It was an uneventful event for Greg Pickett’s Muscle Milk Cytosport team. Sharing the Porsche RS Spyder with Pickett was Klaus Graf. After qualifying, the Porsche was gridded fourth. The team slid down the race order and entered the pits in seventh place. A quick stop for fuel and a driver change moved the Porsche to second. They were eventually passed by the Aston Martin and Dyson Lolas – they finished fourth. 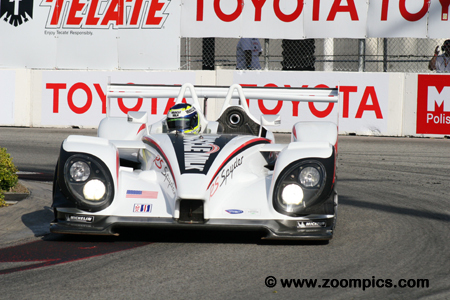 The Genoa Racing prepared ORECA FLM09 was shared by J.R. Hildebrand and Rick Sutherland. The No. 36 ORECA started in the tenth grid position which was third in the Le Mans Prototype Challenge category. The team ran second in class for much of the race but a pass by Christophe Bouchut late in the contest relegated to a third place finish. The Rahal Letterman Team decided to take a gamble on their tires. As the race was only 100-minutes long, they chose not change tires during the race which meant their pit-stops were shorter than their competitors. This strategy appeared to work as the BMWs moved to first and second after all the teams pitted. But with fresher rubber, the No. 45 Porsche and No. 3 Corvette passed them. At the checked flag, the No. 92 BMW M3 driven by Bill Auberlen and Tommy Milner was third. 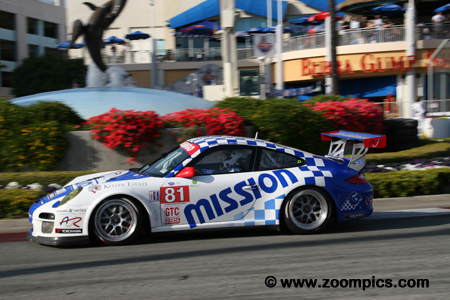 The Bill Sweedler and Romeo Kapudija Grand Touring Challenge Porsche GT3 Cup was prepared by Alex Job Racing. Sweedler qualified the Porsche thirty-first overall and fifth in class. Kapudija was behind the wheel and leading the category as the contest neared its conclusion. Unfortunately, he was caught out by a slippery track and was passed by Butch Leitzinger and James Sofronas. 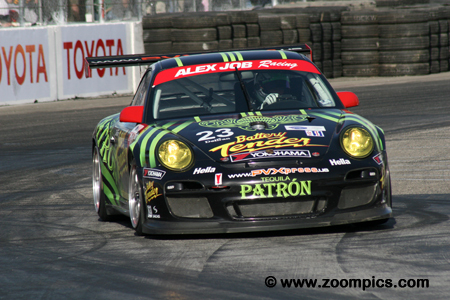 At the checkered flag, he was third in GTC. 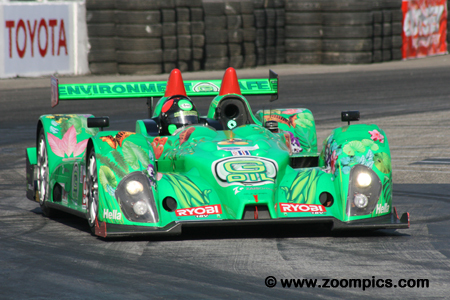 By the end of the qualifying session, Chris Dyson was the third fastest driving the Dyson Racing Lola B09/86. 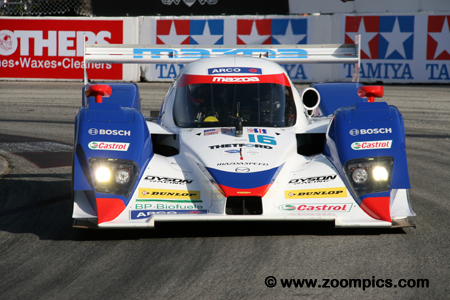 Sharing the Mazda-powered Lola with Dyson was Guy Smith. Dyson drove the opening stint and was third when a GTC Porsche lost some fluid. Unable to turn, he damaged the nose of the car but was able to continue. Guy Smith kept the car within insight of the leaders after pitting for fuel and a driver change. At the finish, they were fourth.